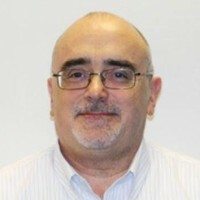 Martyn Perkins has over 25 years of experience in all phases of operations and engineering and a particular strength in cross-functional team leadership. Martyn understands the various cultural nuisances of conducting business in various areas within Europe as well as the Asia Pacific. The Knorr-Bremse Group, based in Munich, Germany, is the world’s leading manufacturer of braking systems for rail and commercial vehicles. For 110 years, the company has pioneered the development, production and marketing of state-of-the-art braking systems. Other lines of business include automatic door systems, rail vehicle air conditioning systems, and torsional vibration dampers for internal combustion engines. On his spare time, Martyn enjoys golf, hiking, traveling and reading.